Syri-Arts, organized by the NGO Kayany, a Lebanese non-profit organization, which is inviting artists to donate a work of art which will be exhibited and auctioned to raise funds for the Syrian children who are the first victims of the unbearable tragedy of the war in Syria. The response has been great, from the Middle East and beyond. 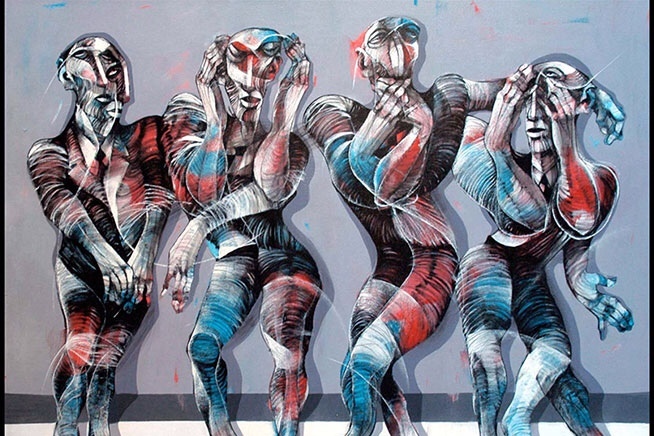 Artists and galleries have responded with great enthusiasm to Syri-Arts' invitation with an exquisite array of works. The totality of the funds raised will go to benefit Syrian refugee children in Lebanon, securing much needed food, clothing, medication and schooling through reliable NGOs working on the ground. 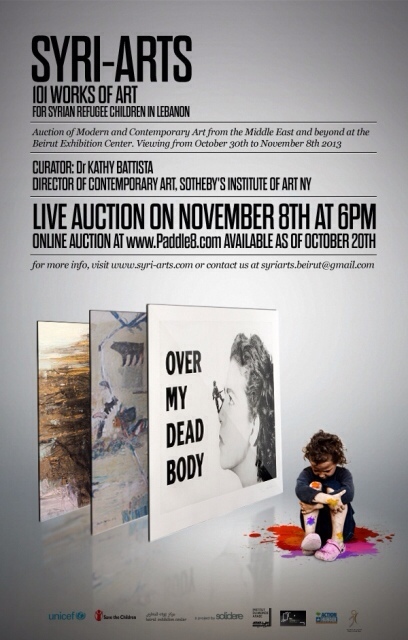 The exhibition is curated by Dr. Kathy Battista, Director of Contemporary Art, Sotheby's Institute of Art New York, and runs from October 30th to November 8th 2013, at the Beirut Exhibition Center (BEC). On-line bidding with PADDLE8.com will be available starting October 20th, and will last through the entire duration of the exhibition, with a live auction held at the BEC on November 8th starting 6.00 p.m. (Lebanon time +2GMT). Syri-Arts is organized in collaboration with the Lebanese Ministry of Social Affairs, UNICEF, Save the Children International, Action Against Hunger, SyriArt Paris, Institut du Monde Arabe (IMA), and the BEC. The aim of Syri-Arts Beirut, which is a nonprofit organization, is to help refugee children survive and regain hope in spite of everything. Syri-Arts Beirut is organized in collaboration with the Lebanese Ministry of Social Affairs, UNICEF, Save The Children International, Action Against Hunger, SyriArt Paris, Institut du Monde Arabe (IMA), and the Beirut Exhibition Center. 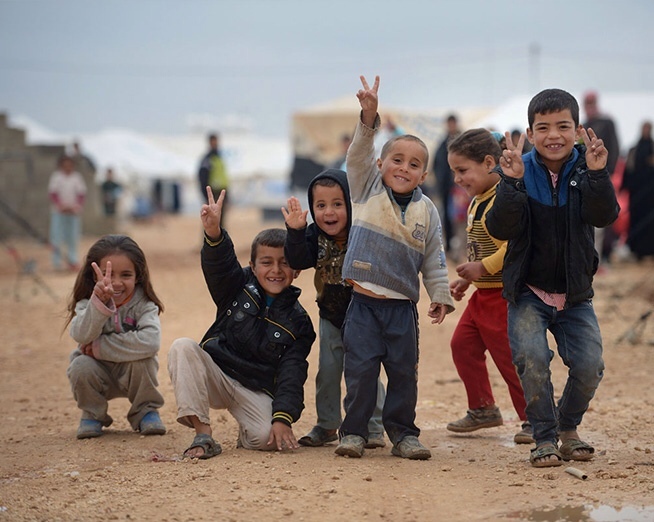 The totality of the funds raised will go to the benefit of Syrian refugee children to secure food, clothing, medication and schooling through reputable NGOs working on the ground.